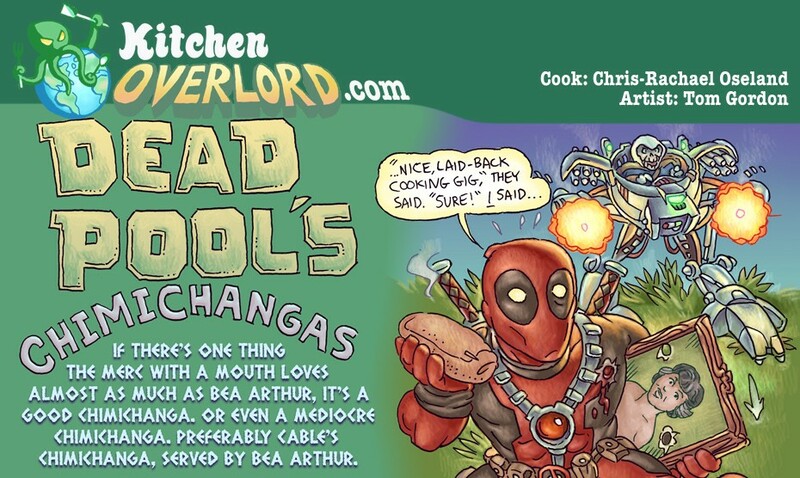 Hold onto your chimichangas, kids, because this week’s recipes have been pre-licked by the merc with a mouth to claim them as his very own. 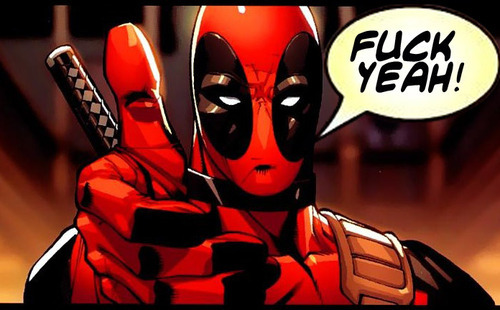 Sadly, you can’t get third hand healing powers from eating Deadpool’s spit, but don’t tell that to his lady-friends. Get ready for Deadpool to cream all over your face with this belt buckle shaped Magic Custard Cake. 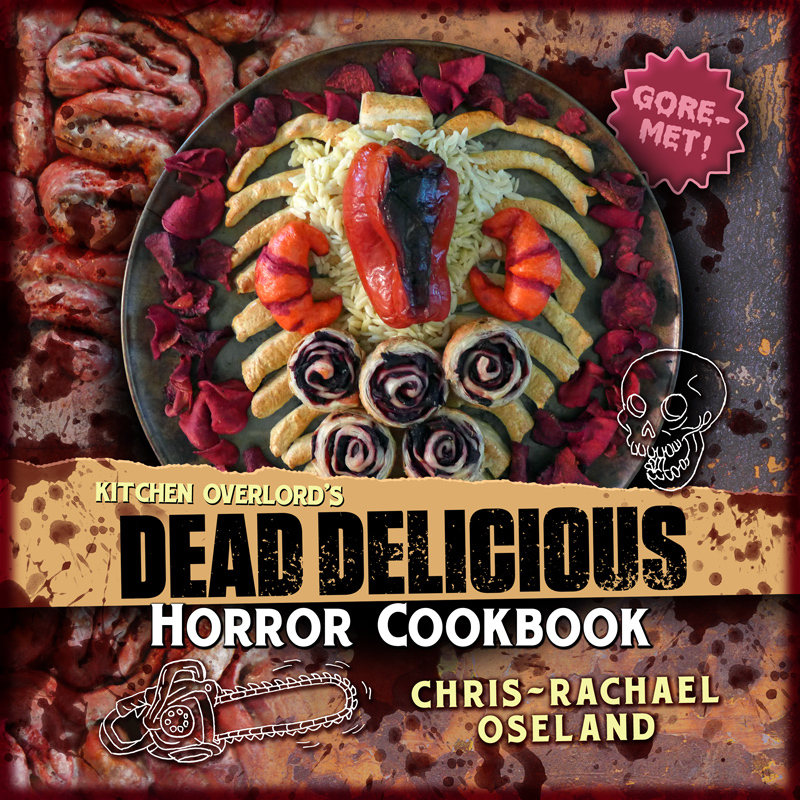 Start a staring contest with your food after baking these Red Velvet Deadpool Brownies. 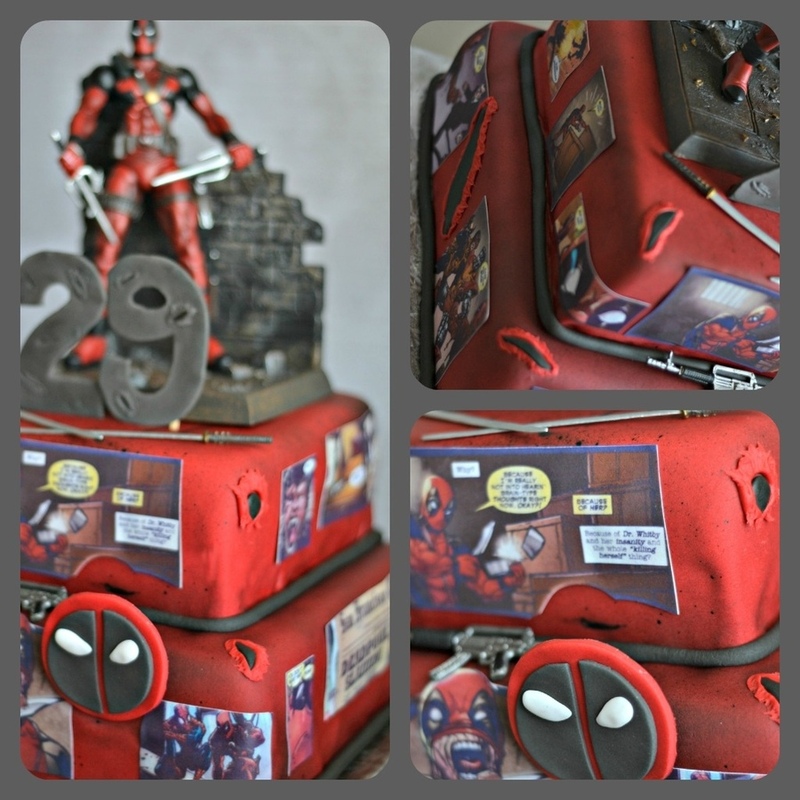 Admire a ton of fondant covered Deadpool Cakes. 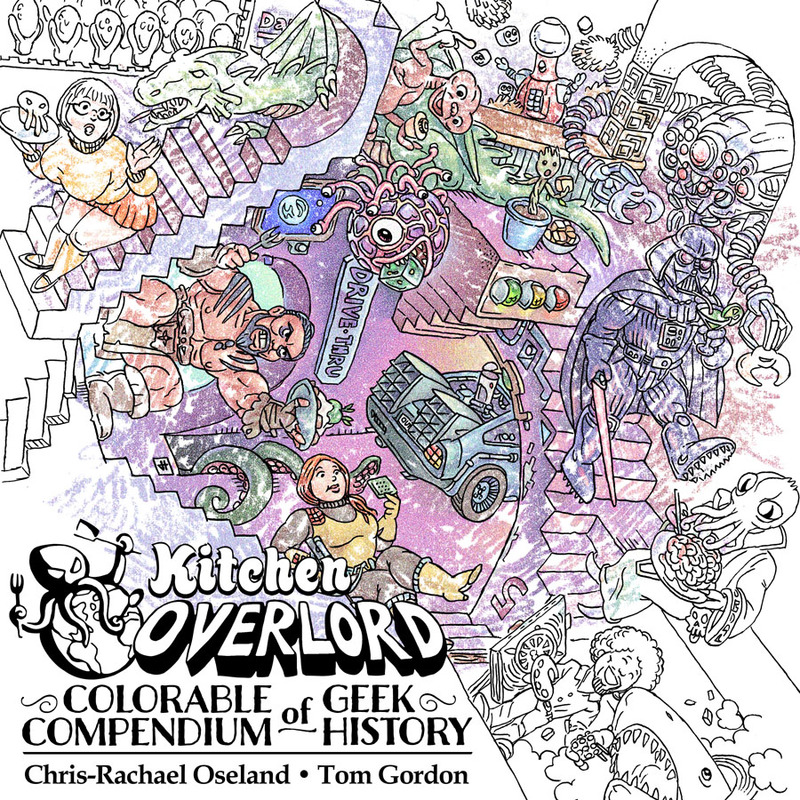 Keep coming back to Kitchen Overlord for a Deadpool-tastic recipe each day this week!